Over the last week the two fight promoters have upped the ante in rather farcical fashion as regards their dislike of one another. Both have used ESPN as their platform of choice to sling as much dirt at one another as they possibly can. White blasted De La Hoya as a coke head and a liar, while De La Hoya questioned White’s business practice of alleged underpaying fighters. 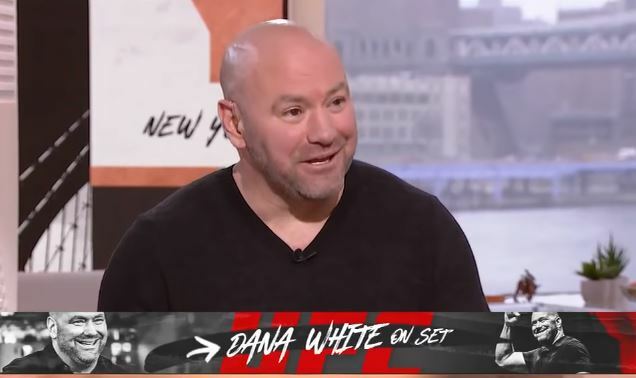 The whole thing culminated in ESPN offering both White and De La Hoya an opportunity to come on air to debate one another in person and air their differences one to one. Something that more than likely they’ll do. But it’s something that very few promoters are willing to do, in fact. The only two I can think of that have done so were Bob Arum and Don King — a pair who although had a bitter rivalry over the years at least acknowledged one another as competent competitors. There has been a lot of calls for UK boxing promoters Eddie Hearn and Frank Warren to do the same but don’t expect that to happen anytime soon between those two. As for White and De La Hoya, their intense war or words seems to have no sight in end and with De La Hoya jokingly mentioning he’d beat White in a fight and challenging him to one last week, the nutty nature of this spat could intensify further yet. A ridiculous side show but in many ways indicative of the entertainment-first driven nature of the combat sports ‘product’ these days. The promoters whether they like it or not have become a more direct part of the story line in the fight business nowadays.